A UK Strategic group has been established and publicly launched the activities of the PHSP on 29 June 2017. Mr George Thomson, the current Chairman of BPEC has been appointed Chairman of PHSP. A second-generation plumber, George has worked in the plumbing industry for over 40 years. He is currently involved in his family owned business called ‘The Shower Doctor’, which is based in Edinburgh. The UK strategic group will meet twice a year and will monitor the progress of the specific skills based projects being delivered across each of the four nations. 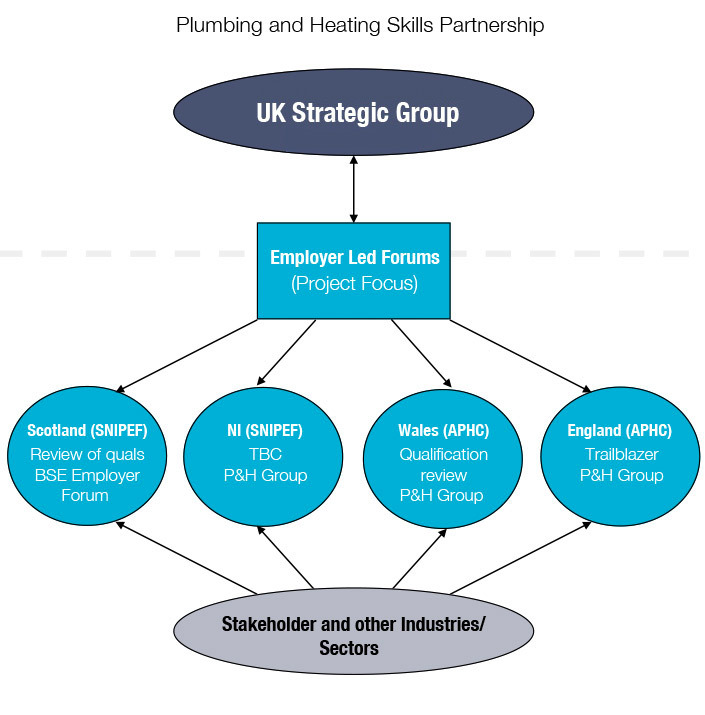 Employer led forums are in the process of being established in each of the four nations to drive forward specific skills development based projects and to ensure that the skill needs of all employers across the UK are taken into account. The APHC will be leading this activity in England and Wales and SNIPEF will be coordinating this activity across Scotland and Northern Ireland.